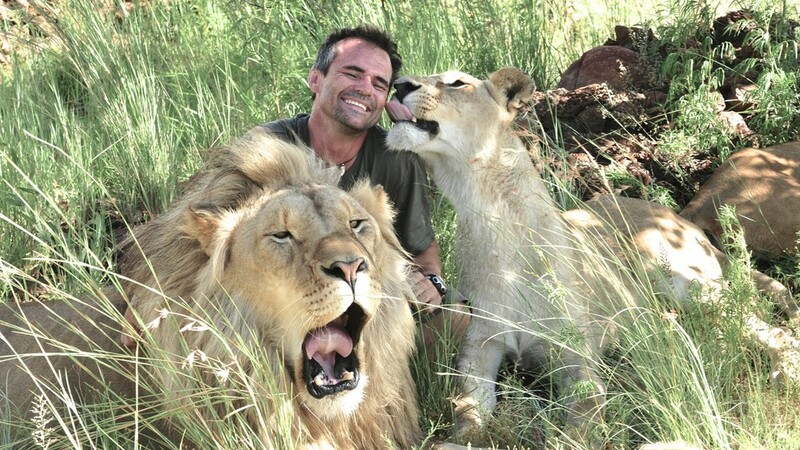 Kevin Richardson shares an extraordinary bond with Africa’s most fearsome predators, and together with them, he has experienced quite some adventures. However, moving 28 lions and 14 hyenas to a new home presents a different challenge. The lions’ new home will be a sanctuary on the edge of Dinokeng, a South African game reserve spanning 18,000 square metres. A huge task lies ahead of Kevin: planning and designing the new enclosures and securing permits to move the animals. To prevent stereotypical behaviour developing out of frustration and boredom, Kevin tries to make sure his animals live as enriched of lives as possible. The animals are therefore regularly rotated into new enclosures, encouraging them to explore and establish new territories as they would in the wild. Meanwhile, work on the animals’ new home at Dinokeng is still in progress. Kevin takes us on a tour of the already existing and occupied enclosures and explains how their design is crucial in meeting the animals’ requirements. However, the permits to move the animals are held up. Everything takes longer than anyone predicted. And every day, the pressure to move the animals and open the lodge increases. At Dinokeng, there’s another surprise in store. One of the wild nomadic male lions has been fighting with an established pride. Although battle-scarred, he has survived, while his brother has been killed. With lion numbers dwindling in the wild, Kevin and the team of conservationists decide to step in. The lion is brought into one of the empty enclosures to recuperate in peace and quiet. Later, he will be radio-collared and re-released away from the established pride’s territory. Weeks away from the move, the permits are turned down. When they are eventually granted, moving the animals presents the next major challenge. Being able to understand the individual characteristics of his animals will be key to moving them safely. But a few of them are not that keen on climbing into the specially adapted van. Can the reluctant lions and hyenas be persuaded to join in on the move? Read more about the adventures behind the cameras in our article: ‘Behind the Scenes: Lions on the Move’.